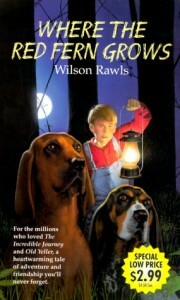 This book is about a young boy named Billy who buys a set of hunting dogs named Dan and Ann. Billy loves his dogs and trains them to hunt for raccoons with him. One day, after Dan is attacked by a mountain lion, Billy suffers a great loss that affects him for the rest of his life. I would read this book to my class as a read-aloud during free time.